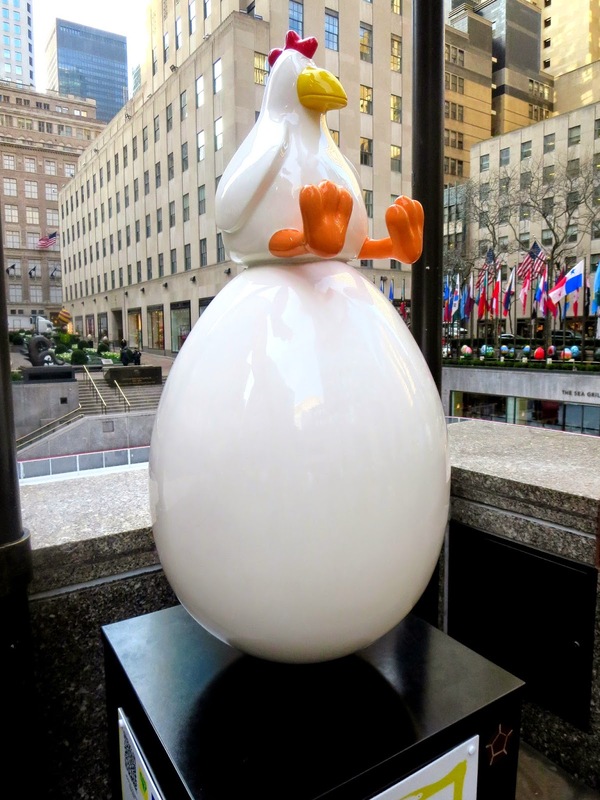 Big Apple Secrets: Rockefeller Center :Big Egg Hunt 2014 is over. 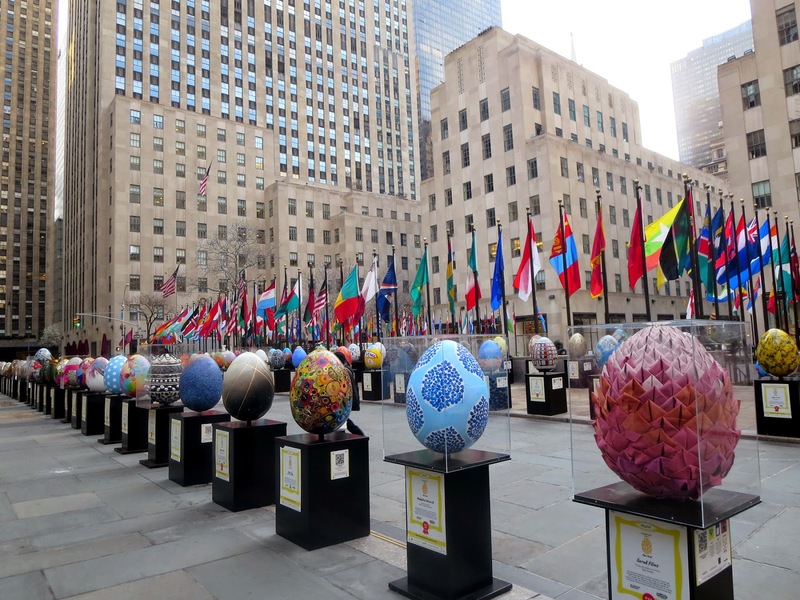 268 unique egg sculptures are on display Friday at the Rockefeller Center. 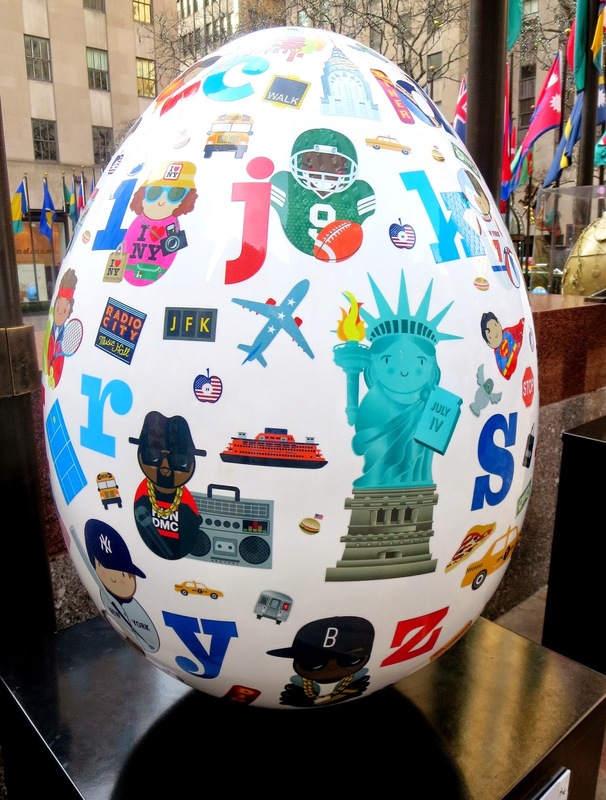 This exhibition serves as the finale for the citywide Fabergé Big Egg Hunt. 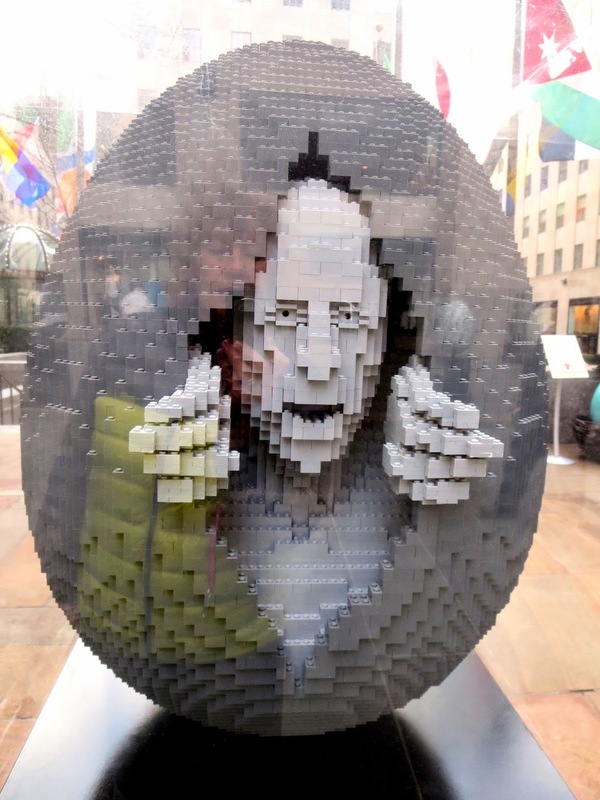 Each egg is designed by a different artist. 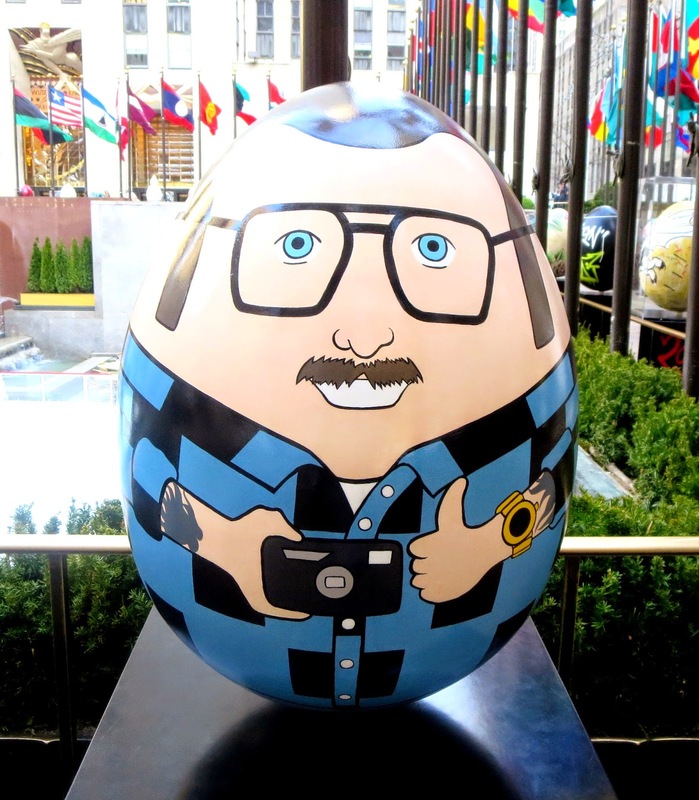 I wrote about the Faberge History, Big Egg Hunt and one of the artists in my blog. 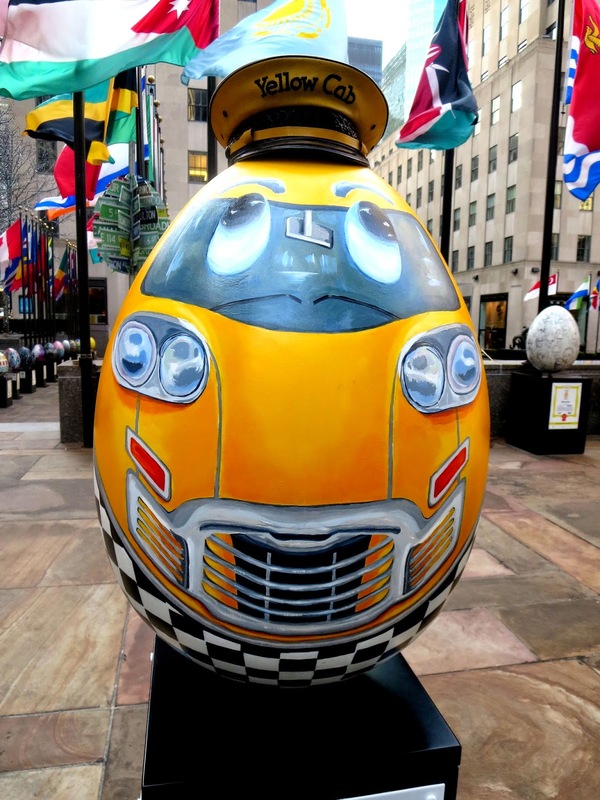 These massive egg sculptures, each about 2.5-feet tall were hidden throughout the five boroughs of New York. 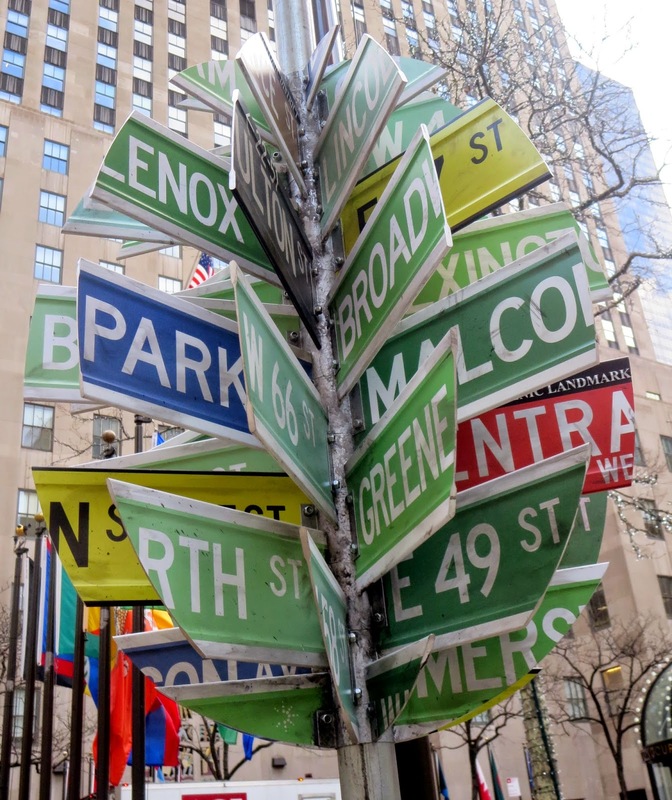 The public has been invited to hunt down these masterpieces and check in via a smartphone app. I took part in the hunting with my camera and spotted eggs in Sack 5th Avenue department store, near Seagram building on Park Avenue and on Columbus circle. 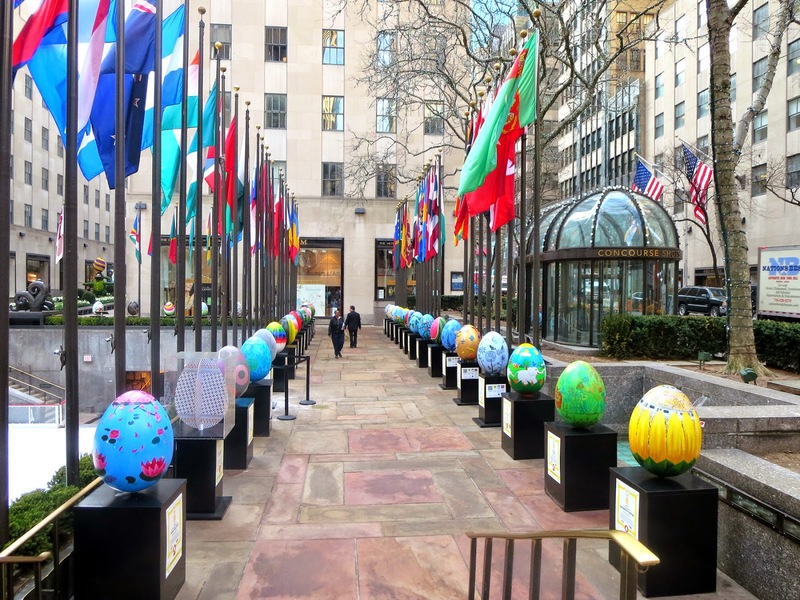 Now all eggs are collected and displayed all together for one week in Rockefeller Center until April 25. You can take part in online auction and place your bids for them online. Here are the pictures of some of my favorite eggs .